The Real John Davidson: Movie Producers--What do they do? Movie producers very often have their name appearing before the movie title, taking precedence over ticket drawing actors or artistic directors. As a consumer I was not at first aware of the producer but became vaguely conscious that producers were important. All the movies that I enjoyed had to pass through a producer, just like for you. With age, curiosity has overcome me to seek to understand why a producer is so important. Creative people including writers and directors need to raise money, but often find that money comes with strings. People with money want to be sure they will get their money back and with a reasonable chance of a profit. Usually that means they want it to be more "commercial." At the same time producers can be part of the creative process and many of them started with different functions. Sometimes they start with an idea and search out writers and directors to flesh out the idea. They are approached by artistic people needing financial support. Investors are sought. There are some people who like the glamour, but other investors need to be reassured their money is safe. A producer spends and supervises the money. Once financing is secured a budget can be established and a schedule. Location is another big decision, whether to go on site or build or rent a set. The cast, the director, sometimes the writing, costumes, sets, countless workers who have to be fed and transported. They are expected to make sure there is an audience to view the end product. Very often they can be a driving force behind the creative effort. Time management is difficult when there are so many pieces to juggle. Needless to say these functions can be very fluid, taking a long time with many ups and downs and overlapping with creative decisions. Film projects involve a lot of people performing different functions under the guidance of a producer. The Academy Awards are very careful in deciding who is the producer as they are the one who actually receives the Best Picture Oscar. Other subordinate titles include executive producer, line producer, associate producer, co-producer, etc. Their exact functions and responsibilities depend on a multitude of factors. The cast is obviously a key part, but so is a director and writer. Not only because of their quality, but also concerned for cost, timeliness and compatibility. Flat fees or percentage of gross/net are the usual options. A big star helps sell investors and consumers both, but can take up too much of a budget or be too big a distraction. Other crew members can be almost as critical: cinematographer, editor, composer, costume and set designers and there are many more. Distribution channels have to be worked out. Most movies appear in a theatre for about two to four weeks (or less). Some movies go to television, DVD, foreign language, theatre chains, streaming services. Many producers spend time at film festivals to meet with distributors that may come from all over the world looking for something they can sell to their audiences. Marketing costs can be enormous, sometimes even more than the cost of finalizing a film. Online has become very key, but traditional newspapers, tv., radio, billboards are used to target different segments. Festivals are more important as producers try to create credibility in the form of selections and awards. A few sketches of notable producers. Perhaps one of the first producers people of my generation became aware of was Walt Disney. He started out as an animator and made short cartoons such as "Steamboat Willy" in 1928 with synchronized sound. He became the voice of Mickey Mouse. First long animated feature was "Snow White and the Seven Dwarfs" in 1937 that defied early critics to become a big success. In 1950 he started live action films. Most of his films were based on folk tales. "Saving Mr Banks" recounted his efforts to get the rights for "Mary Poppins" and portrays the sort of efforts that some producers undergo. Steven Spielberg, one of the wealthiest film makers in the world started out in various functions and worked up to director with perhaps his first hit being "Jaws" He used a lot of visual effects. He was an early pioneer with product placement, most famously illustrated with Reece's Pieces in "E.T. The Extra Terrestrial" because M and M rejected his offer. So many hit films such as "Munich," "Saving Private Ryan," Back to the Future," "Who Framed Roger Rabbit,""Schindler's List" "Lincoln," "War Horse," "The Hundred-foot Journey," "Bridge of Spies" http://www.therealjohndavidson.com/2016/05/bridge-of-spies.html He has formed some creative alliances that have added to his success--notably composer John Williams and editor Michael Kahn. He also directed 13 actors who received Oscar nominations for their performance. Carlo Ponti actually practiced law in Italy during the Mussolini era before he became a film producer. Perhaps best remembered as husband to Sophia Loren. He had chosen her stage name which is more easily remembered than her original Sofia Vellone Sciciolone. Not known to as many is that he married her twice, because his divorce to his first wife wasn't recognized in Italy. This caused the two to exile themselves to the United States where he produced a number of movies including "Doctor Zhivago" and "Operation Crossbow." They married after he, Sophia and his first wife all took French citizenship where his divorce was recognized. 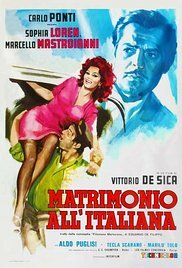 He produced a number of classic Italian movies, such as "La Strada," "Yesterday, Today and Tomorrow," "Two Women," "Marriage Italian Style" and "A Special Day." Aditya Chopra is a name attached to many enjoyable Bollywood movies, often as a director or writer. At age 23 his first directing and writing effort was the longest running movie "Diwale Dulhania Le Jayenge." He has continued to write and direct. but is now more involved in producing where in a sense he is even more creative. Some of his producing hits include, "Sultan," "Fan" and "Fanaa." He comes by it honestly as his father was the well established Yash Chopra. Aditya also got my attention as he married Rani Mukerji,(http://www.johnfdavidson.com/2014/11/rani-mukerji-maturing-actress_53.html) a favourite actress. Has at least two interesting projects on the go "Paani" and "Thug"
Sisse Graum Jorgensen of Denmark produced my favourite all time film "After The Wedding." She also produced other Danish classics such as "Brothers," "A Better Life" "The Hunt" and "A Royal Affair." She has produced a few English speaking films; "Salvation," and "Love is all you Need." She likes to work closely with directors such as Susanne Bier and Thomas Vinterberg as well as writers such as Anders Thomas Jensen. When you are evaluating a movie take into account the producer as he or she made it possible and left their fingerprints if you look. What a great description of what a movie producer is!! It gives a great detail of the work a producer has to go complete a movie! !